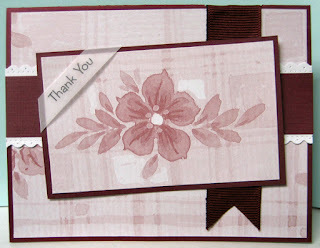 These are the last two cards I created using the set of focal elements I created from a sheet of scrapbook paper by cutting out all the large floral elements on the sheet. 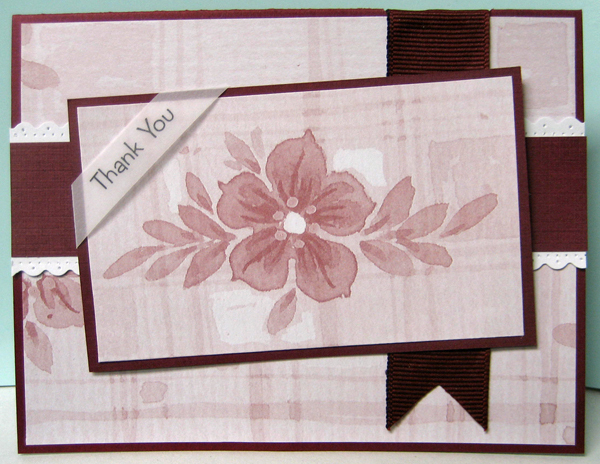 I layered the focal elements onto dark maroon cardstock. Check out the other two sets here and here. 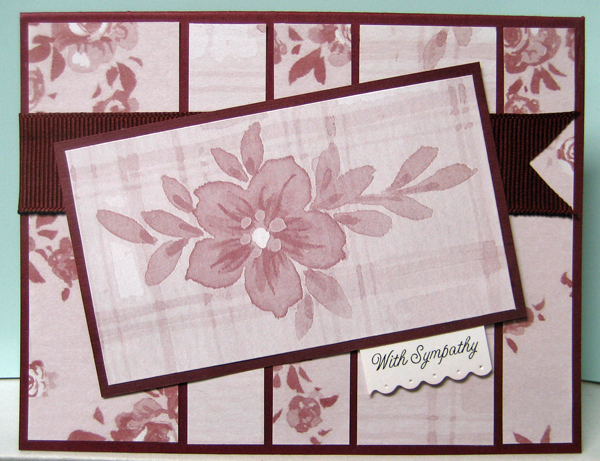 For my first card I started with a dark maroon card front and layered on strips of two of the other papers. I added a length of wide coordinating gros grain ribbon adhering one end to the inside of the card using double sided tape and the other flagged end to the card front using double sided tape as well. I applied glue stick to the area in between to get a smooth ribbon. I created a little laser printed greeting which I trimmed with scalloped decorative scissors, pierced each scallop and sponged on a bit of colour. I mounted it to the bottom edge of my large focal element before adhering it to the front of my card overlapping the ribbon using 3D foam tape. For the next card, I used two scraps of the original paper from which I trimmed the focal elements which I glued to my maroon card front at the top and bottom. I trimmed a length of white cardstock using scallop decorative scissors, pierced each scallop and ran my tracing wheel along each length to create a line of piercing. Love that little tool!! I layered a length of maroon cardstock over it and then glued this element over the gap between the paper on the front of my card. I added a length of coordinating gros grain ribbon on the right hand side of the card creating a slot on the spine in which I inserted the end of my ribbon and glued it in place with double sided tape. I used double sided tape on the flagged end as well and some regular glue stick in between to get my ribbon nice and smooth. I added a vellum laser printed greeting to my focal element by folding over the edges of the strip and adhering them to the back with regular tape. 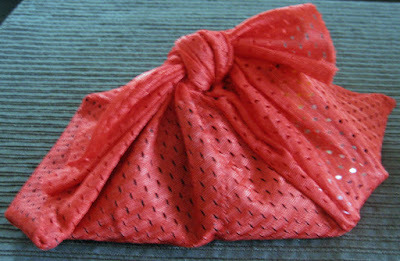 I adhered this large element to the front of my card over the ribbon using 3D foam tape.